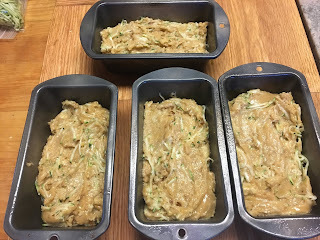 With a bumper crop of zucchini, I'm on a quest for new recipes, and this one is a bit different than the usual zucchini bread. 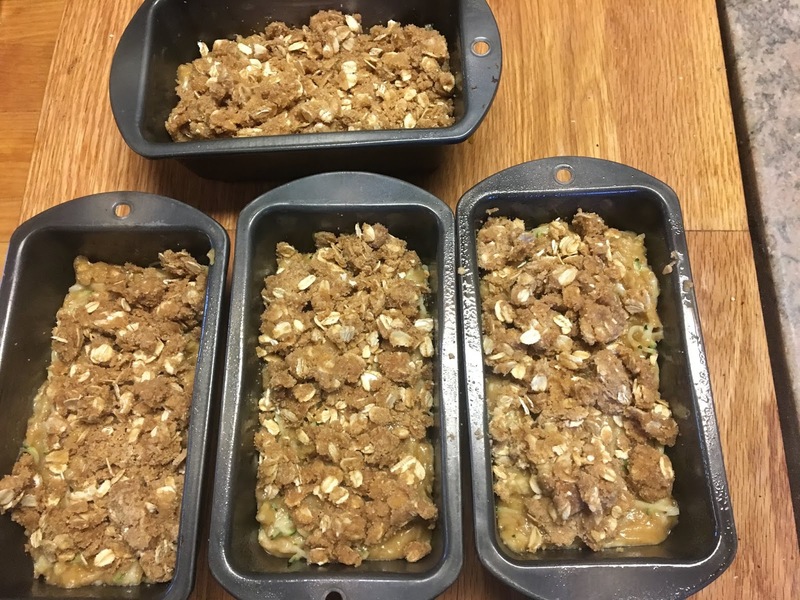 The streusel topping adds a satisfying crunch. Bread spread with Cherry Butter from The Cherry Co., Colorado. Spray two 8” x 4” baking pans (standard size loaf pans) or 4 smaller (5” x 2 1/4”) pans . Preheat oven to 325°. In a large bowl, beat eggs with oil, sugar, vanilla and almond extract. Add in flour, salt, baking soda, baking powder, and cinnamon. Mix until well blended. Fold in shredded zucchini and chopped walnuts. Pour batter into two (or four) loaf pans. 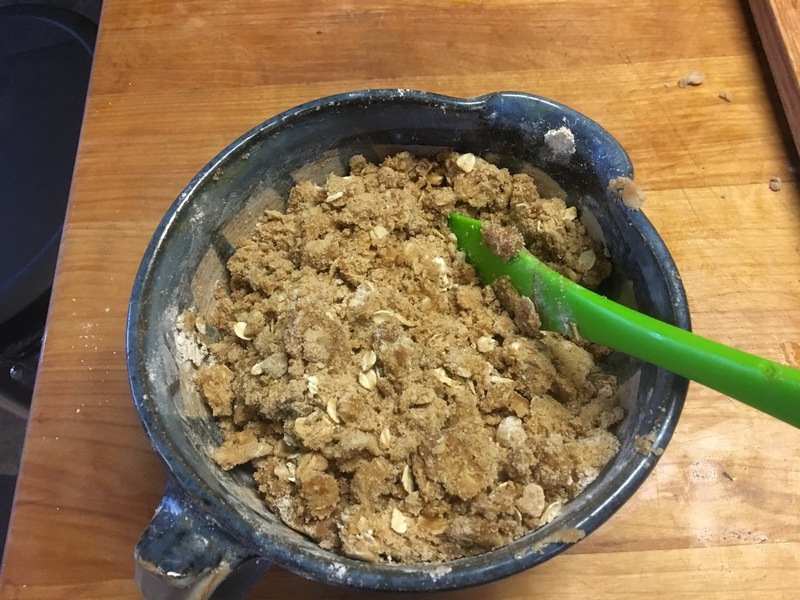 Streusel topping: In a small bowl, combine streusel ingredients. 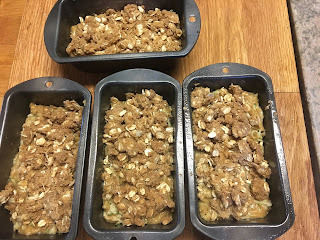 Sprinkle the streusel evenly onto the two (or four) pans of batter. Press lightly. 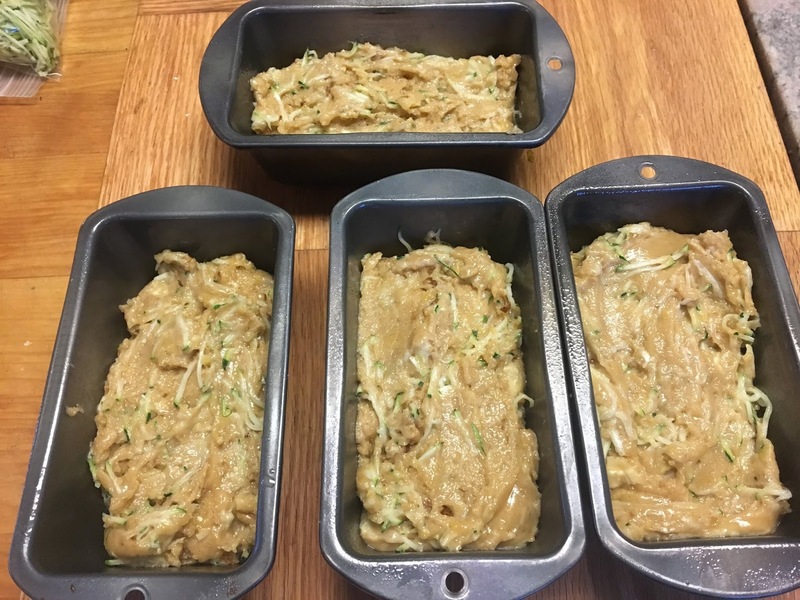 Bake in oven for about 60 minutes for standard loaves; about 25 to 30 for smaller loaves, or until toothpick inserted in center comes out clean. Avoid overbaking. Remove pans from oven and cool on baking rack about 10 minutes before removing from pans. Mini loaves are great for breakfast, snacking or as gifts. Spray two 8” x 4” baking pans (standard size loaf pans) or 4 smaller (5” x 2 1/4” ) pans. Preheat oven to 325°. Sprinkle the streusel evenly onto the two pans of batter. Press lightly.